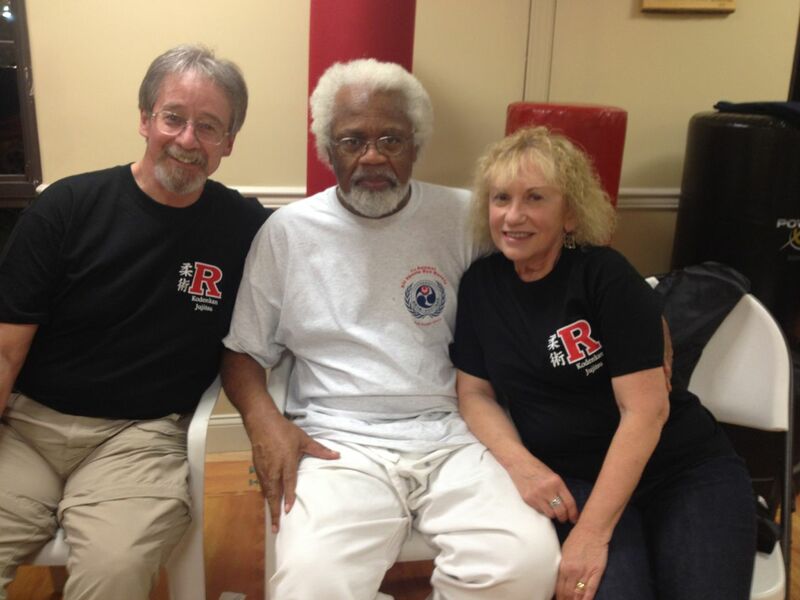 The Heilman's were honored to be asked to be Guest Instructors at the Rutgers Kodenkan and AJJF Northeast Region fall Seminar which was held at Rutgers University in New Jersey. The event was held over October 11 - 13, 2013. 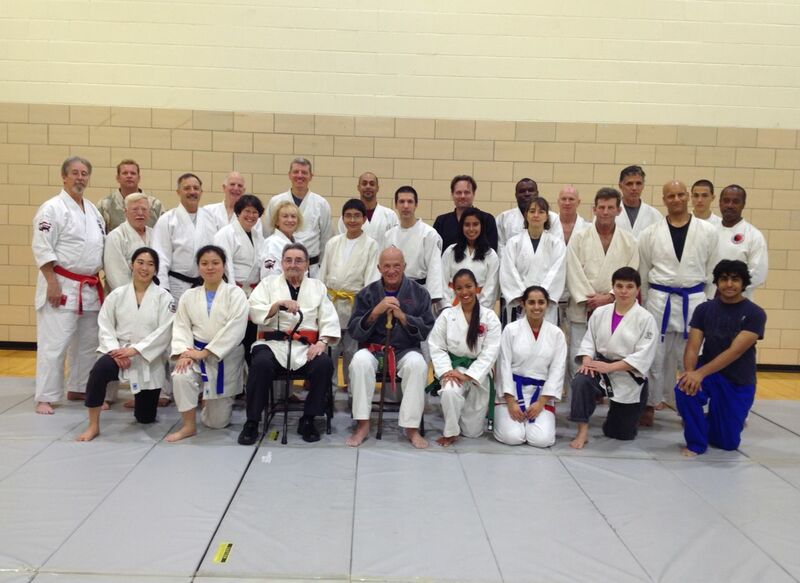 Group photo of some of the participants at the 2013 AJJF Northeast Regional Fall Seminar held at Rutgers University. 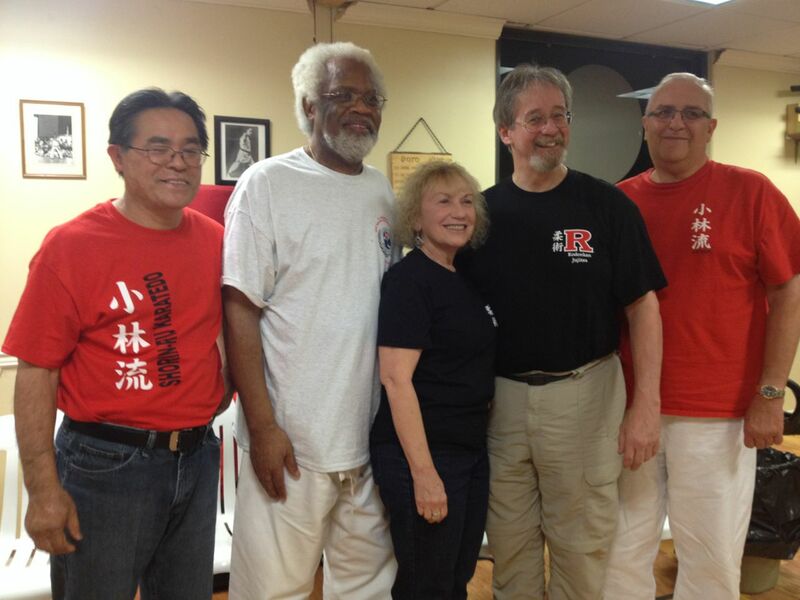 Group photo of Seminar Instructors at AJJF Camp. 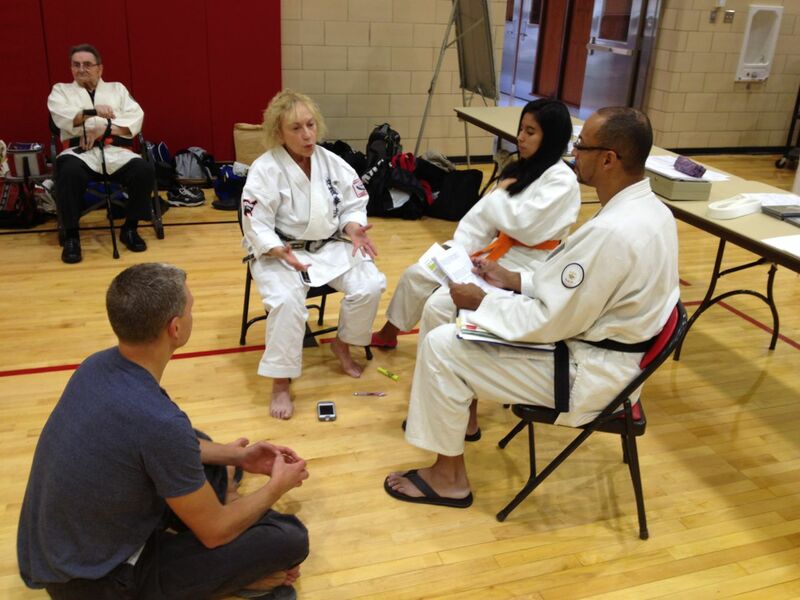 Photo of Hanshi Ann-Marie Heilman discussing aspects of Internet Bullying with participants. 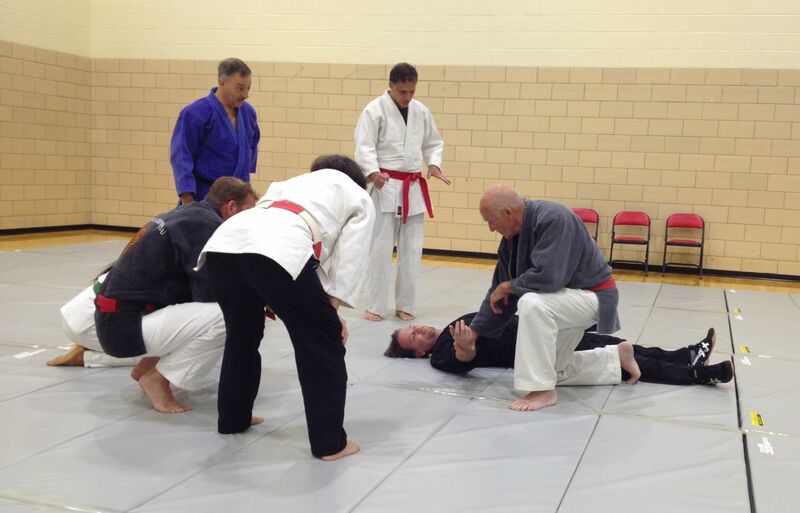 Eighty (80) year old Grandmaster Gates working with participants during one of his seminars. This event was held over October 11 - 13, 2013 in Pompton Planes, New Jersey. The Heilman's and Frank Hargrove together for an evening of fun and discussion of the old times. 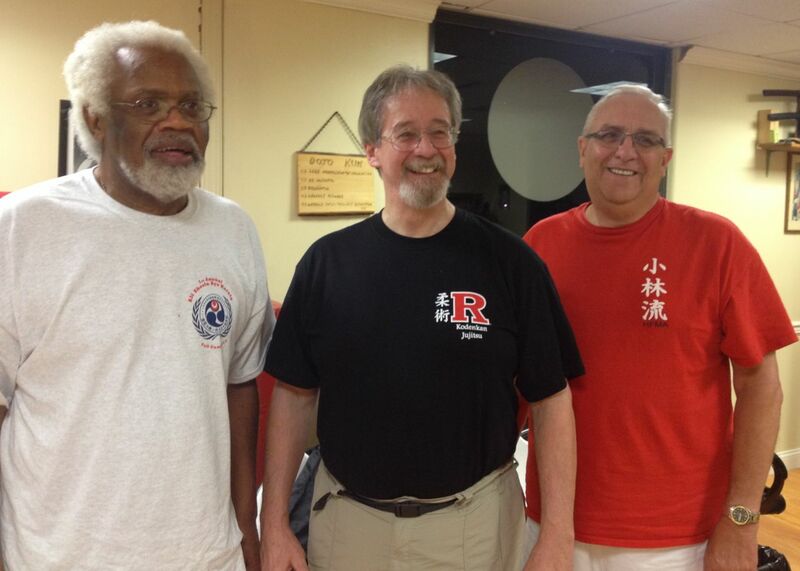 Three "old Hanshi's" having a great time. 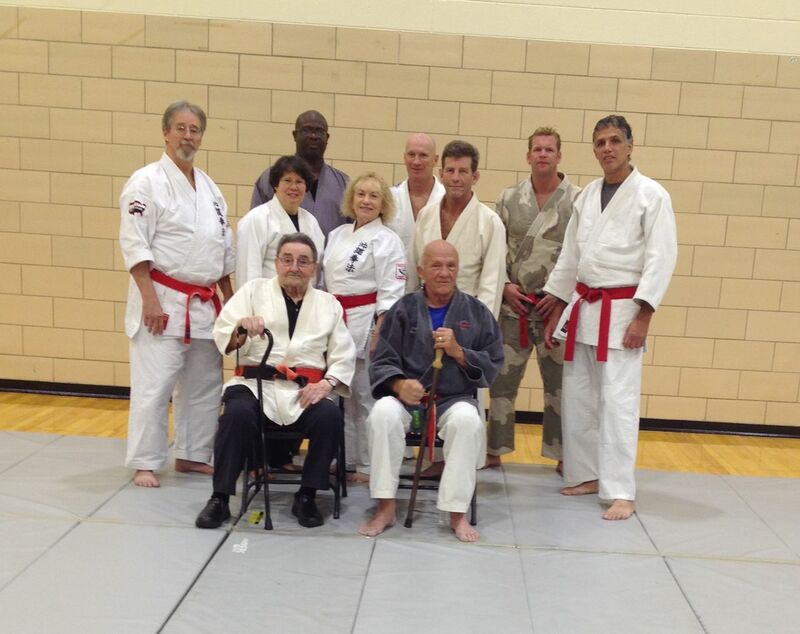 Photo of a gathering of Hanshi's. From left to right: Kikukawa, Hargrove, Heilman, Heilman and Herten - what a great line-up of senior traditional practitioners.